New generation ultra compact 32 kN press tool, nearly at the size and weight of a compact tool. Service Interval only after 42,000 press cycles! all the same functionality and durability of previous models but in a much lighter, more compact design. all the same functionality and durability of previous models but in a much lighter and more compact design. RP 340-B also features an LED-light and a greatly extended service interval of 42,000 cycles. Weight: 3.2 kg (incl. 18 V Li-Ion Battery). Operating Temperature Range: 15 ̊F to 122 ̊F (-10 ̊C to 50 ̊C). Approximate Cycle Time: 4 seconds. LED-light for continued operations in no- or low-light environments. Extreme long service interval. Reminder at 40,000 / Shutdown at 42,000 pressing cycles. 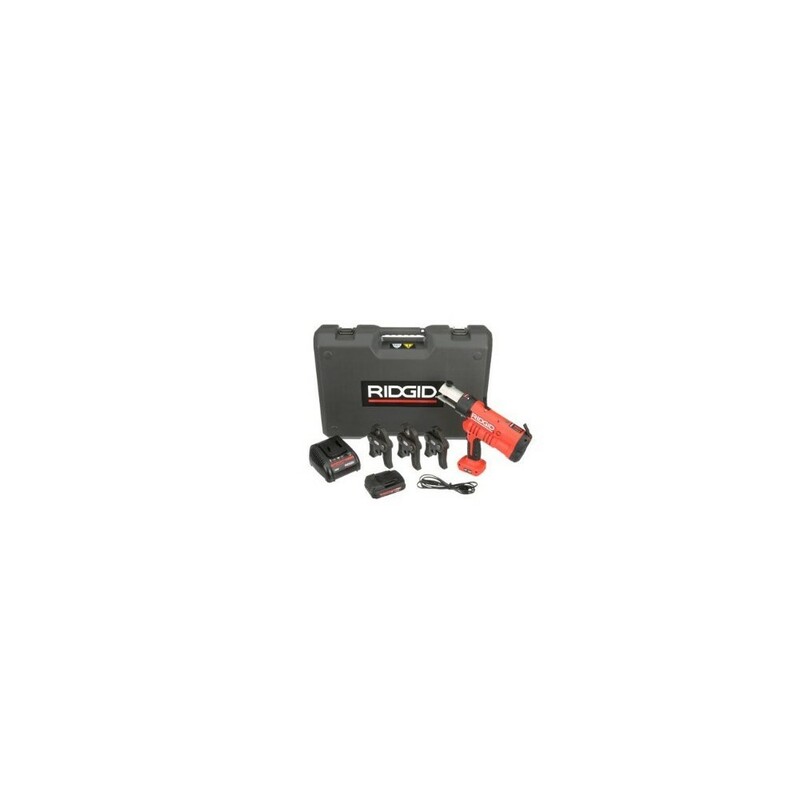 Standard Kit includes: RP 340 Press Tool, 230 V Charger, 18 V 2.0 A Li-Ion Battery and Carrying Case.